Research in Western countries has shown the contribution of early teacher–child relationships and classroom emotional support on children’s behavioral adjustment in pre-schools. Results with regard to the direction and strengths of the relationships seem inconclusive, moreover, such research is lacking in African countries. 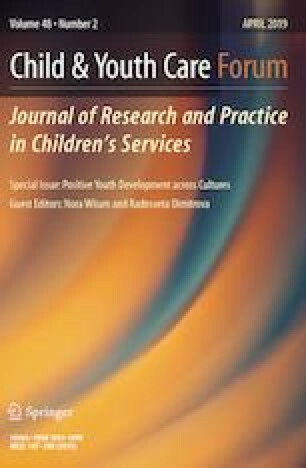 To examine the change and predictability of children’s behavioral adjustment in Tanzanian pre-primary schools. Longitudinal data were collected twice over a 1-year interval. Twenty teachers and their 310 children from 20 schools in the Ilala district, Dar es Salaam region, participated in the study. Methods used for data collection were teacher questionnaires and classroom observation. Results showed that over time, children’s aggressive behavior and teacher–child conflict decreased, whereas teacher–child closeness increased. Prosocial and anxious behavior remained stable. Multilevel and longitudinal analyses indicated that teacher–child closeness and conflict predicted children’s aggressive behavior. Children’s prosocial and anxious behavior predicted teacher–child closeness, while their prosocial, aggressive and anxious behavior at the individual level and anxious behavior at the aggregated class level predicted teacher–child conflict. Teacher–child relationships and children’s behavior relate in a bidirectional way. If the relationship between a teacher and a child is characterized by conflict, children are more likely to develop difficult behavior and teachers find it more difficult to manage the children. These results imply that pre-primary teachers need to be trained on how to identify signs of behavioral problems in children and to establish an emotional supportive classroom environment and teacher–child closeness for a positive school trajectory in children. Funding was provided by Netherland Fellowship Programme (NFP) PhD Programme 2011 (Grant No. CF7439/2011). Theresia J. Shavega, Cathy van Tuijl, and Daniel Brugman declare that they have no potential conflict of interest on this study. The study was approved by the Utrecht University’s Faculty of Behavioral and Social Sciences who introduced a researcher to the Regional Administrative Secretary (RAS) in Dar es Salaam Tanzania through a written letter. Permission to conduct a study in the country was issued by RAS. RAS introduced the researcher to the heads of schools, who introduced the researcher to a pre-primary class teacher. Informed consent was sought from the teachers and they agreed to participate in the study. The class teacher sought informed consent from the parents to whether they should allow their children to participate in the study or not. Only children who received their parents’ consent, participated in the study.